» Free Agency Day 3: Did The Bills Overpay Mario Williams? 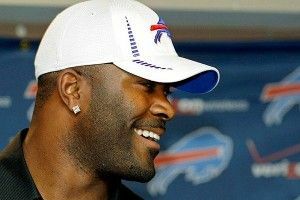 Free Agency Day 3: Did The Bills Overpay Mario Williams? As it turns out, Buffalo was more than a leverage stop for Mario Williams. We expected Williams to use an offer from the Bills, an organization that hasn’t won a playoff game since 1995, to get a similarly sized deal from a more prominent team. Instead, on Thursday morning Buffalo completed the most surprising free agent signing since Reggie White in 1993, locking up Williams with a six-year deal that guarantees him an incredible $50 million. And as free agent signings go, the deal sure feels like it leans closer to masterstroke than disaster. The $50 million guarantee is the truly incredible thing about this deal. The previous record in guaranteed money for a defensive player in free agency was set by Albert Haynesworth, and depending on what source you see for that contract, the guaranteed figure was between $36 million and $41 million. If the $50 million figure is legitimate, it dwarfs the previous record and creates a new standard for dominant defensive players to approach. Without this deal, the Packers could have gone to Clay Matthews this offseason and creditably offered him $40 million in guaranteed money as part of a new deal; now, no. 52 will probably get $52 million in guarantees on his next contract. Did the Bills overpay? Yes and no. In a way, they had to overpay, because they probably wouldn’t have been able to lure Williams to Buffalo on a market-value deal. Maybe they whispered “$50 million” into Williams’s agent’s ear at the Combine and got his first visit as a result. Maybe they whispered “$40 million” instead, got him to show up, and upped their offer to $50 million when Williams left their facility on Tuesday night. It’s hard to imagine that Williams would have chosen the Bills over most other teams in the NFL with money being equal, and it’s also simultaneously hard to imagine anyone else in the league shelling out $50 million in guaranteed money for Williams. Heck, while we suggested that the Bills should make Williams a Godfather offer before free agency, even we didn’t think they’d go to $50 million. On the other hand, this is exactly the sort of player you need to be comfortable overpaying, because it’s almost impossible to acquire him otherwise. There’s no other way the Bills can get a 27-year-old pass-rusher with this combination of production and athleticism. That’s the difference between the Bills overpaying Williams and a team like the Jaguars overpaying Laurent Robinson, a move we criticized yesterday. You can get 95 percent of Laurent Robinson for $500K because there are dozens of guys like that in the market, so it’s not worth getting the real thing for $12 million. Ninety-five percent of Mario Williams would still be a $30 million player, because there’s nobody like that who comes available in free agency. Paying a premium to lock up that guy is fine. Beyond giving the Bills an elite pass-rusher for the first time since the criminally underrated Aaron Schobel retired, this signing should solidify Buffalo’s front four as the best defensive line in football. The Giants will have more depth than the Bills, but nobody is topping a one-through-three punch of Williams, Kyle Williams (the new Williams Wall?) and Marcell Dareus. Kyle Williams should be healthy after spending the second half of 2011 on injured reserve, and Dareus was a dynamic player in the first half of this past season before badly tiring during the final stretch of the year. Since we always think of big acquisitions in terms of how they will affect a team’s most notable regular opponent, this move should allow the Bills to consistently rush Tom Brady with just four down linemen and drop seven into coverage, which is a huge advantage versus those teams who have to blitz Brady to create pressure. The Bills are moving back into a 4-3 after two years in the 3-4, which should put Williams back at his natural position of defensive end and allow the talented Bills linemen to penetrate into the backfield to make plays. Does it turn Buffalo into an instant playoff contender? Probably not. Bills fans point to the team’s 4-1 start last season before injuries began to create depth issues, but that was a record built on unsustainable luck. Those Bills forced 16 turnovers across five games and pulled off consecutive 18-point comebacks for the first time in NFL history while going 3-1 in games decided by a score or less. In their final 11 games, the defense forced just 14 turnovers and the Bills were 0-4 in games decided by a score or less. Ryan Fitzpatrick also played at a career-high level during that stretch before returning to the mirror image of his previous self during the second half, and there are still questions about whether he can suddenly improve into an above-average passer at 30. Williams will make the defense way better, both by creating big plays and making everyone else’s job easier, but the Bills will need to match Williams’s work on defense with an above-average offense if they want to make the playoffs. For the first time since the Music City Miracle, though, Bills fans have a reason to enter a season with hope. The two most prominent offensive guards left on the market both changed teams on Thursday, as Ben Grubbs left Baltimore to replace Carl Nicks in New Orleans, while Steve Hutchinson signed a three-year deal with the Titans. The Grubbs deal was a necessity for the Saints, who had already lost their best offensive lineman when Nicks signed with the Buccaneers earlier in the week. They couldn’t afford to allocate such a large portion of their payroll to Nicks and fellow guard Jahri Evans, and Grubbs’s contract calls for him to receive $16 million in guaranteed money over a five-year deal, about half of what Nicks received from Tampa Bay. In truth, Grubbs shouldn’t represent a significant downgrade from Nicks’s level of production. Hutchinson, on the other hand, is coming off a bad season in Minnesota and might be just about finished at 35. While he was once the league’s best interior offensive lineman, Hutchinson’s performance has badly slipped over the past two years, and he seems unlikely to regain the form that took him to seven consecutive Pro Bowls from 2003 to 2009. The Titans gave him $6 million guaranteed, which is a lot of money for a player who might very well only last one season with his new team. If Hutchinson were named Steve James and had the same level of skills at the same age without any pedigree, he’d have gotten a one-year deal for $900,000. Kansas City added depth at tight end by signing Kevin Boss to a three-year deal. Boss should compete with Tony Moeaki for playing time at tight end, but he should also allow the Chiefs to go with two-tight end sets more frequently in 2012. At this point, Boss’s name is more prominent than his actual performance. He never developed after an impressive playoff run as a rookie, and he’s now had both the Giants and Raiders give up on him in back-to-back years. It’s telling that the Giants, in need of a tight end after their incumbents seemingly all tore their ACLs during the Super Bowl, opted for Cowboys malcontent Martellus Bennett over Boss when the Raiders released Boss last week. The Redskins continued their march toward their own tails by nabbing Brandon Meriweather with $6 million on a two-year deal. Maybe the NFL took the Redskins’ ability to watch game film away, too, because Meriweather’s been a disaster over the past two years. As bad as he was in New England, Meriweather’s famously poor game against the Lions in October should have sealed his fate as a replacement-level safety. The problem is that Meriweather fancies himself a brilliant freelancer in the vein of Troy Polamalu and Ed Reed, but Meriweather lacks the athleticism of Polamalu and the instincts of Reed, which leads to disastrous decisions and big plays for the opposition. The Redskins will hope that Meriweather can replace the injured and departing LaRon Landry, but history suggests that he’ll become the latest symbol of how bad the Redskins are at this whole player-evaluation thing. March Madness: Friday Live Blog!